The three day Asia Pacific Awkaf Congress was held in April at the University of Sydney with a large contingent of delegates coming from all over the world as well from various parts of Australia. 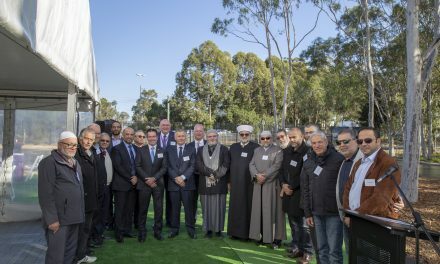 The Congress included a two day Awqaf Development Symposium 2015 from 15 to 16 April at The University of Sydney Law School and a Community Day at the Lebanese Muslim Association Hall and Lakemba Mosque on Friday 17 April. 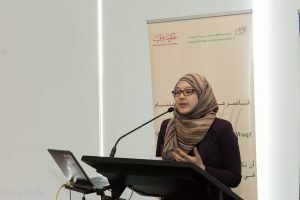 The event was organized by Awkaf Australia and sponsored by a number of overseas Awqaf bodies as well as local organisations and institutions. 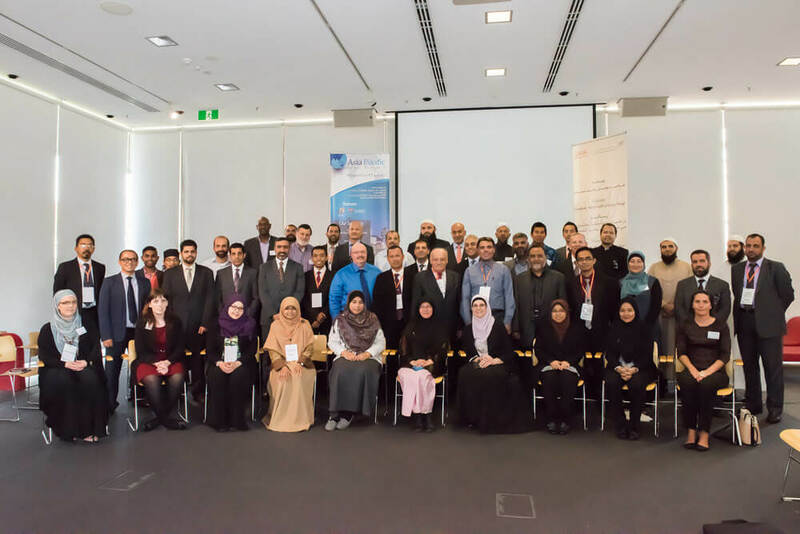 With the Congress theme “ Awqaf (Islamic Endowments): Modernised and Modernising”, the speakers and presenters at the Congress included representatives from Awqaf bodies from Middle East and Asia Pacific as well as academics, health professionals, Islamic finance experts and Islamic scholars, both from Australia as well as overseas. The Congress guest of honour was the newly elected member of the NSW Paliament, Jihad Dib, the first Muslim MP, representing the state seat of Lakemba. 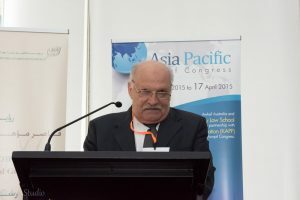 In his opening address Mr Dib recounted his humble beginnings and the challenges he faced during his term as the principle of Punchbowl High School that he effectively transformed into a model school with increasing number of students enrolling into University courses. Dr Hisham Dafterdar, Chairman of Awkaf Australia, during his welcome address called for the establishment of new sustainable Waqfs adopting professional management based on best practice of corporate governance and quality assurance. 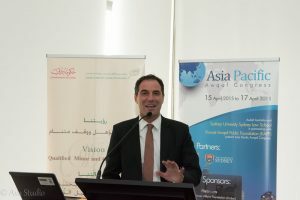 Associate Professor Salim Farrar said that Sydney Law School was happy to co-host the Symposium that will address the economic development, poverty alleviation and marginalization of Muslim communities around the world. However he warned that while establishing Waqf institutions especially in Muslim minority countries, lawyers would have to play a key role to ensure that the structures complied with laws of the land. 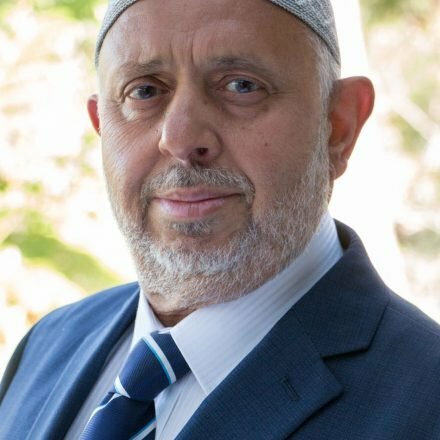 Khalid Sukkarieh, Secretary General, Awkaf Australia has been the master mind behind the elaborate programming and logistical arrangement of this comprehensive high powered congress that brought so many experts in the field from diverse background together. The organizing committee also included Ansari Zainul Abidin, Mala Saraswati, Latife Dogan and Photography by Saeedeh Khodadadi. 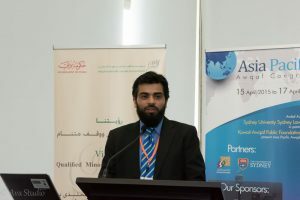 Their case presentations included two successful institutions running on Waqf principles. 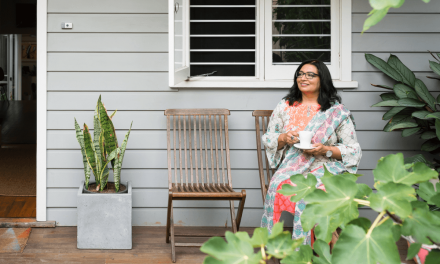 Devina Levy, a fundraising expert described how Cambridge Muslim College, UK is running on Waqf to endow in perpetuity its teaching of Islamic sciences in the modern world. The second case study was presented by Dr Wasif Shahzad, COO of the highly successful Indus Hospital in Pakistan that is organized on Waqf principles. This is the only tertiary care Pakistani hospital that provides comprehensive free healthcare service with high clinical standards in an impressive, state of the art health centre complex. 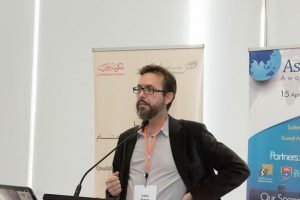 Peter Gould, an Australian Designer, creative entrepreneur and digital artist spoke on the importance of branding for modern marketing purposes for Muslim organisations, institutions and products. Other local speakers included A/Prof Mohamad Abdalla from Griffith University, who spoke on “The need of Awqaf for the effective implementation of a strategic vision for Australian Muslims; Dr Hadi Zulfiqar from University of Newcastle and Dr Rashid Raashed Islamic Financial Services (IIFSA) speaking on the topic of “Islamic Banking and Awqaf in Australia: A way forward. Academic and Awqaf experts from overseas included Mazlan Hussain, A/Prof Adi Setia, UTM, Dr Mohd Nahar Arshad, IIU all from Malaysia; Prof Yasin Mohammed Ghadi, Dr Mohammad Talafheh, Dr Abdullah Rababah all from UAE and Dr Abdelkader Chachi, Dr Khalid Hadoub from Saudi Arabia. Representatives from Awqaf ministries and boards from Kuwait, UAE, Maldives, Indonesia, New Zealand, South Africa, Germany and USA also attended the symposium enlightening the participants with their respective experiences and insights. 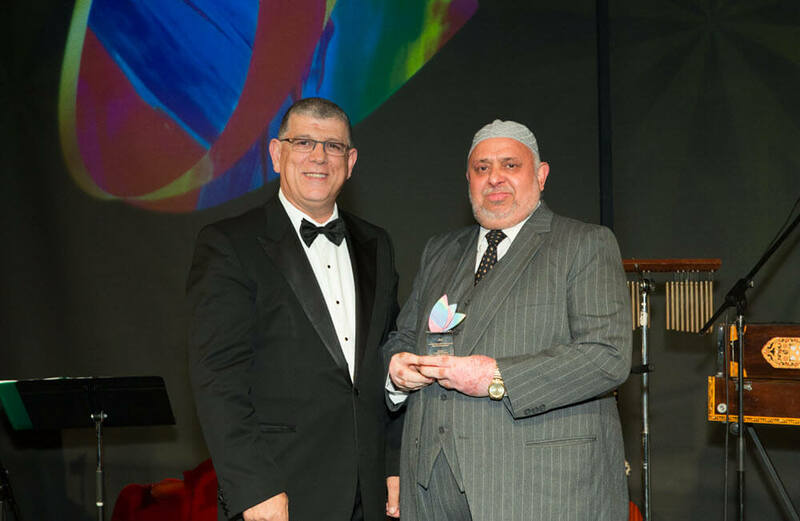 The congress was sponsored by Awqaf Minor Affairs Foundation (Dubai), Muslim Aid Australia, Islamic Council of NSW, Lebanese Muslim Association, Religion for Peace (Australia), NSW Muslim Guild, Basmala.